The Embraer Legacy 500 inlet and exhaust covers are manufactured with the highest quality of materials and made in the USA. 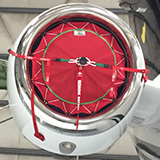 Custom tail number and logo designs are available for the inlet covers. 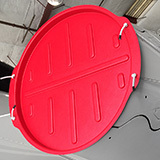 Click on the PDF specs for detailed information on the Legacy 500 inlet and exhaust covers.